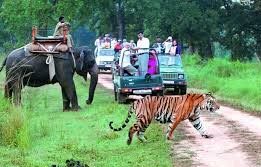 India is known for its rich and diverse wilderness, and thus, many travelers around the world look for wildlife tour packages in India. Here you can witness abundance of fauna by taking Kaziranga Wildlife Tour, Sunderban Wilderness Tour, Ranthambore and Corbett Tour or Corbett Wildlife Safari tour. These wildlife safari packages in India let you get intimate with the world of wild. India is the only home to Asiatic Lions outside Africa. This adds to wildlife tourism in India. 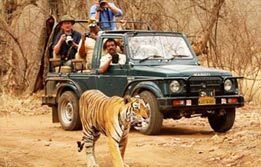 Tiger tours in India are extremely popular among travelers where they get to spot big cats by partaking in jungle safari in India. Hop on a jeep and take a ride through dense forests where every corner has a new surprise. 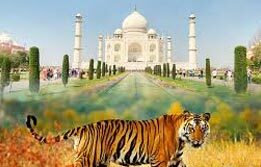 Many travelers book Taj Mahal with Bandhavgarh tour to relish a mélange of cultures and wildlife. These tours bestow seamless pleasure and make your wildlife holidays in India memorable.